This is one I’ll have to see to believe. Who knew? Yeah, try it at home. It works like a charm! Another fix for this very issue is to place a damp cloth on the spot and iron over it with an clothes iron. No need for fluffing with the spoon 🙂 This also works like a charm! Thank Missy Stovall, we will definitely try this trick and take some before and after images! Missy is right!my husband about had a fit when I told him this. 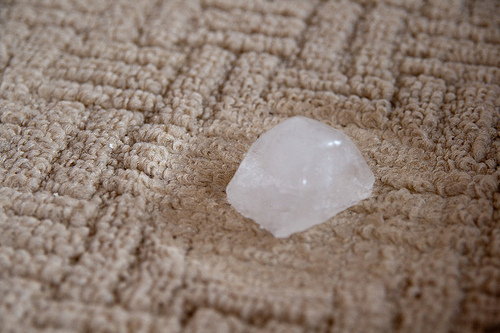 He installs flooring and said letting a cube melt will delaminate the carpet ant ruin it. He told me the right way is what Missy said. Just make sure the towline is white! I can see your point Mandy. Not to mention, wouldn’t it build up mold eventually? I did try the ironing on the damp cloth to lift up our furniture marks and it worked! I was amazed! The proper name for these marks is Furnidents. That’s so funny, thanks for the info! How do you get candle wax out of carpet? 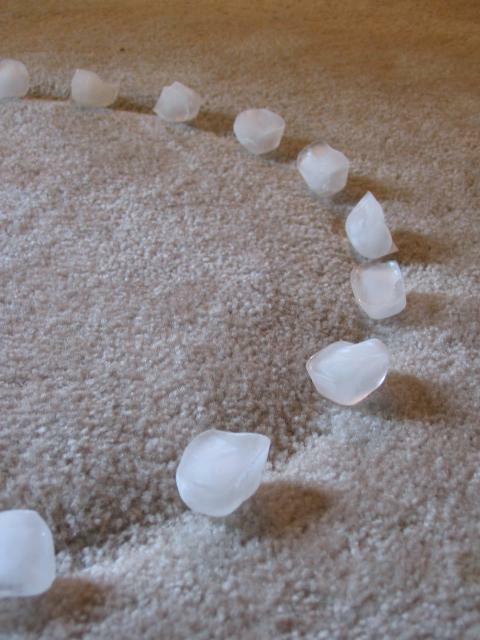 We did some research and have found how to remove wax from carpet! Fill a ziploc bag with ice and lay it on the wax (make sure no water gets out as this sets it in more). Then scrape off the wax with a knife or flat edge. Lay brown paper (like a paper bag) or a clean terry cloth towel over the stain and run a warm (not hot!) iron over the wax. The paper will absorb it! You can use some carpet cleaner to remove any last bits of wax leftover.